The perfect gift or retail solution! Quickly becoming a customer favorite, the EconoPlaq is quickly replacing bin prints and small frames for a sleek, affordable presentation of artwork. 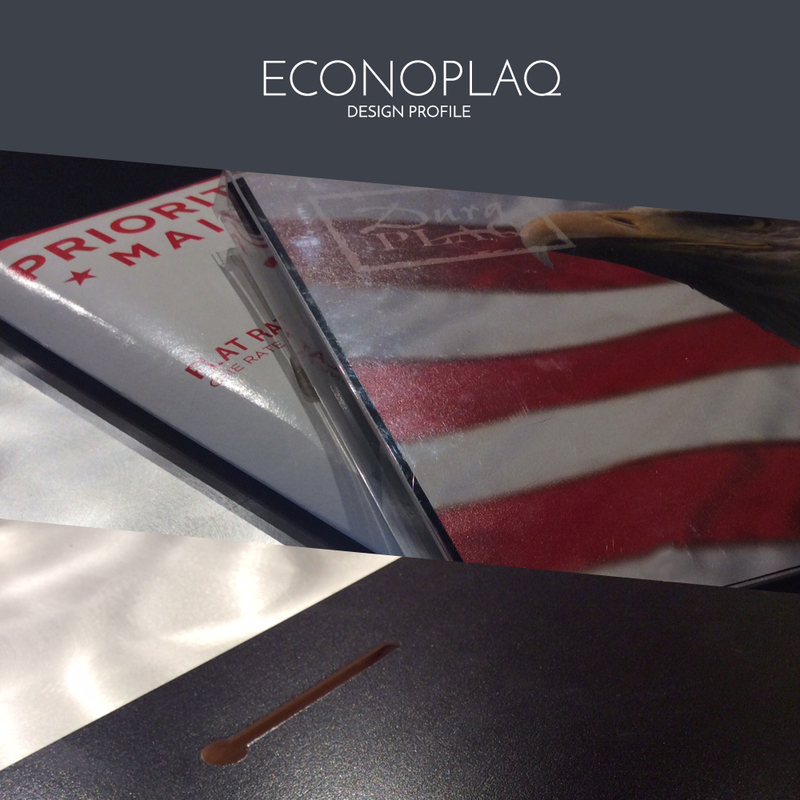 The EconoPlaq is a prepackaged, standardized Economy StandardPlaq with black edges offering uniformity and quality to the masses. This product touts all the benefits of an Economy StandardPlaq in a set size of approximately 8-1/5” x 10-3/4”. The standard sized EconoPlaq is a complete retail product and comes pre-packaged in a clear retail box. Digital image files must be provided at the appropriate size to prevent cropping of an image and maintain a high quality product. DuraPlaq®’s exclusive eco-conscious 3/8” premium wood product coated with an acid-free surface for ultimate protection and longevity of artwork. The backside is coated black for added moisture resistance and durability. This product is available only in the set size of approximately 8-1/5” x 10-3/4” and hangs flush on the wall. Overall depth of product is 3/8” from front face to wall. EconoPlaq comes prepackaged in a clear retail box ready for gifting or retail applications. Economy finish. This product utilizes a direct print on the surface requiring no additional surface finish or coating. Please note that due to the nature of printing directly to materials with varying base colors, textures and finishes, there may be variations in the surface and appearance of a direct print. DuraPlaq® does not offer replacements on surface or color variations showing through a direct print. Visit our care section for more instruction on cleaning and maintenance. Slotted keyhole without screws. Hanging hardware does not fit in clear box packaging and is not included with EconoPlaq product. Nearly any traditional screw will work for hanging the EconoPlaq. Please visit the care section for hanging instructions, the EconoPlaq will hang similar to the StandardPlaq. Beveled with a black 3/16” edge, the EconoPlaq has a complete and modern look. Please note that when providing artwork or image files, signatures and crucial components of an image or print should be a minimum 1/4” from the edge to accommodate trimming during the production process. 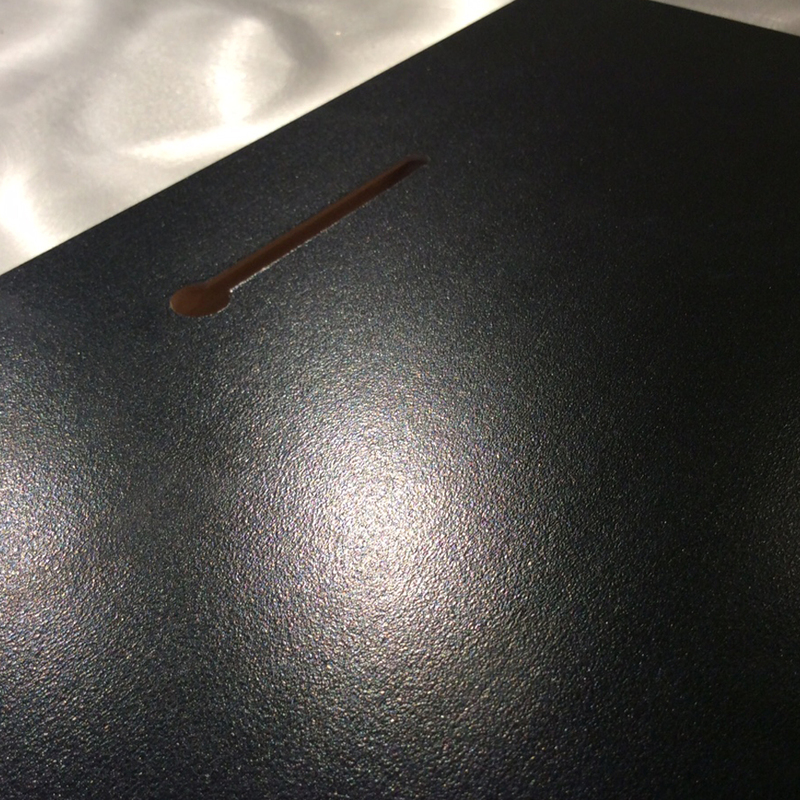 8) The Plaqcard features a beveled black edge option with keyhole, dowel and USPS compliant shipping box for card customization. Shipping costs are not included. 9) Due to the nature of printing to substrates with varying base colors, textures and finishes, there may be variations in the surface and appearance of a direct print. DuraPlaq does not offer replacements on surface or color variations with products featuring a direct print applications.